Safeguarding the future of your business and your family. 1) Identify the goals of the business owner. Business owners should identify their personal goals for their future annual income, their level of involvement in the business, their investments both inside and outside of their business, their legacy for the future, and their values. 2) Identify the needs and goals of the other stakeholders. What are the needs, goals and expectations of family members, other owners, and key employees? Consideration of their expectations insures that the plan will meet the goals outlined above. 3) Management succession planning. If continuation of the business is important, the business owner must figure out who is capable and willing to take on his or her responsibilities. This process may include new compensation structures that will give key managers incentives to take on new tasks. 4) Develop a “best case scenario.” Based on the business owner’s values he or she must balance the needs and goals of everyone involved. 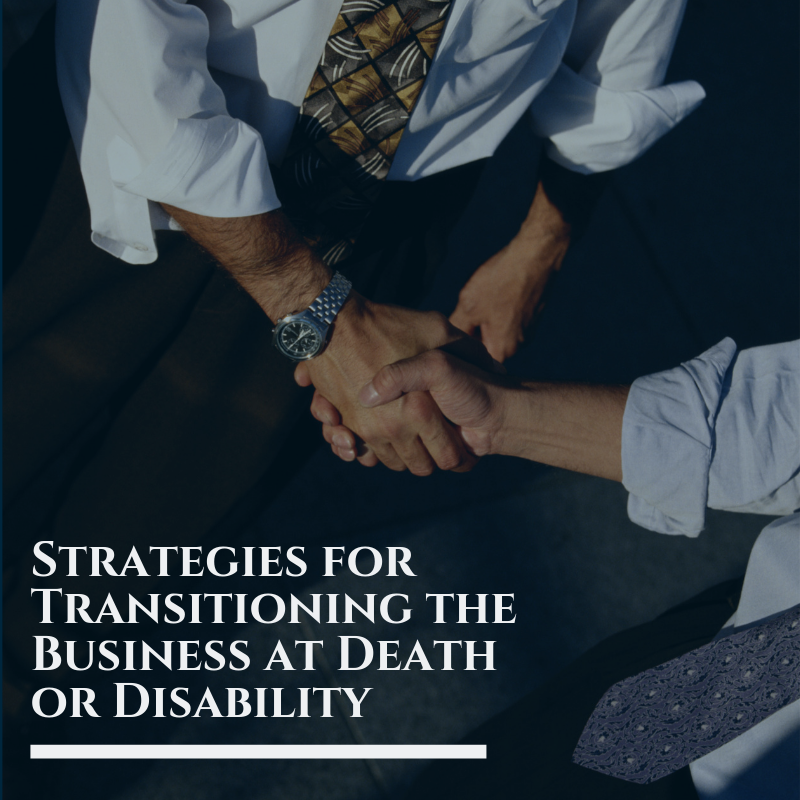 The resulting plan is a “best case scenario.” This becomes the optimum situation that the business owner hopes to attain in the succession plan. 5) Explore all options. Explore the options available to meet the goals. This is when the abstract goals of the succession plan meet what is legal and financially feasible. The business owner needs to fully explore the options available. 6) Design and implement the succession plan. A time line for implementation is a way to make intentions clear while managing expectations. The time line can include specific goals or “trigger events” for managers or successors. Such goals indicate that it is time to take the next step in the plan. Setting goals for the succession plan can be difficult. One reason is that the business owner has many different roles. Income: What are the business owner’s needs and expectations for future income? Involvement: What are his or her goals for future involvement in the business? Would the business owner like to remain actively involved, withdraw over a number of years, or walk away tomorrow? Investment: What are the owner’s goals for future investments? Does the business owner want to cash out immediately, maintain an equity investment in the business, or cash out in stages over a number of years? Legacy: What are the owner’s goals for a personal legacy? Does he or she want to establish a charitable trust or trusts for family members, children or grandchildren as legacies to his or her accomplishments? Values: What are the values of the business owner? What is important to the owner apart from his or her personal interests? Does the business owner value the continuation of the business and continued employment for colleagues, family and employees? What about community involvement? Step 1: Income from your Succession Plan. Every good succession plan must begin with an assessment of the financial needs of the owner. The goal is to arrive at a good estimate of the income level that the owner hopes to get from the business. 1) Desired income: To determine the income needed in retirement, start with your current income and benefits. What is the annual cash compensation of the business owner? What is the cost of additional benefits provided to the owner by the business? The combination of these figures will provide a reasonable estimate of the actual value of current compensation. What additional expenses can be expected when the owner enters retirement? Does he or she intend to travel more, play more golf, take on new hobbies, purchase insurance or perform maintenance on a retirement home, or purchase a new recreational vehicle? What expenses will go down in retirement? For example, dry cleaning, restaurant expenses, auto maintenance costs, travel costs, etc., may decline. The current compensation and the adjustments can be combined to estimate the business owner’s desired future income. Step 2: Goal Setting – Other Stakeholders’ Goals. Family members, other owners, management and employees of the business will continue to have an impact on the business. As a result, the goals and expectations of these people are important to consider. Their active involvement in the process often helps them accept the outcome. The goal of step two is to gather information from everyone who will be affected by the succession plan. The concerns of these groups should be considered in relation to the goals and needs of the business owner. Simple involvement in the process will help to reduce the negative impact of the instability caused by change. After the appropriate information is gathered from the important groups, it is time to begin work on the “best case scenario.” In the best case scenario, the business owner begins to balance the needs and expectations of everyone involved and identify priorities for the succession plan. It is more a summary of what the business owner wants, in consideration of the concerns, hopes, and expectations of everyone else involved. The more clearly and carefully issues and concerns are prioritized in the best case scenario, the easier it will be to devise a successful plan. This should not be a pie-in-the-sky dream. The goal of this stage is to consider and balance the needs and expectations of everyone involved and decide which goals are of the highest priority. The expected annual income of the business owner in retirement or the net amount after tax, the owner will need to get from the sale of equity to retire in the manner he or she expects. A list of who will own how much equity in the business. This might include a combination of family members, current owners, managers and employees. An explanation of who will hold what positions and responsibilities in the business and the training they will need to perform successfully. A summary of the desired level of involvement that the business owner wishes to have in the business and for how long. A summary of how other goals might be met. For example, a trust fund for children, grandchildren or for charitable contribution purposes. In summary, the best case scenario should unite the hopes and expectations of the key participants into a cohesive set of goals. These goals should reflect what the business owner would like the business to look like after he or she has exited. The best case scenario, as well as the summaries of people’s goals, will be the starting point for finding the most appropriate technical solutions. Step 5: Explore Options for The Future. The fifth step of the succession planning process requires the exploration of the legal options. The options selected should be chosen to achieve the goals outlined in the previous steps. 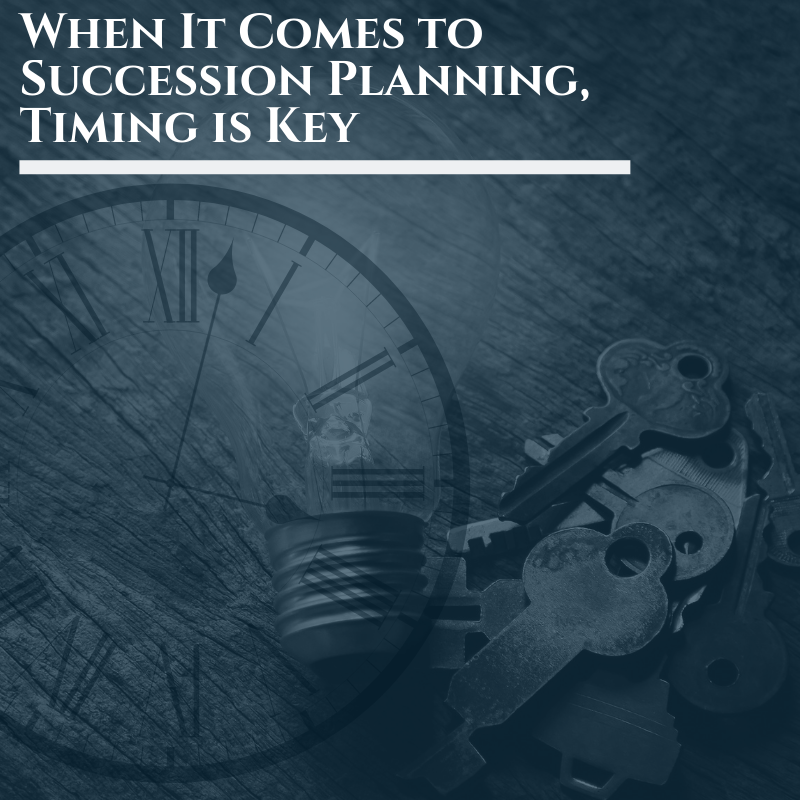 Too often succession planning begins with legal and tax options, and, when business owners start here, they typically come up with a technically solid plan that does not meet their personal succession goals. This stage is where the business owner finds out his or her financial and legal limitations. At this point, it is important to realistically assess the financial condition of the company and its future. It may make sense to have an outside professional appraiser evaluate the company and provide an objective valuation. Frequently, the outside valuation is a disappointment. Business owners often over-value their business. This is an understandable mistake. The business is, indeed, more valuable to the business owner than it may be to others. The options that follow are not the only options available. They are summaries of commonly used strategies. Many different options can be combined to meet the unique needs of every business owner. It is important to explore all of the options available, so that later, when the plan has been designed, the business owner does not find that there was a better way to achieve the same goals. 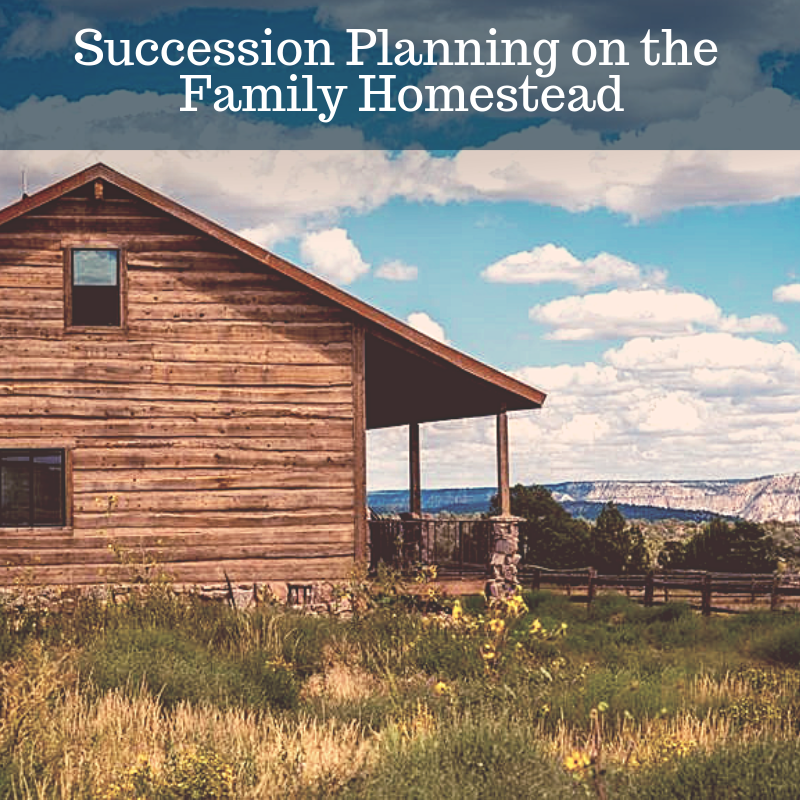 Keeping the business in the family is often the primary goal of succession planning. There are a number of ways to keep the business in the family. 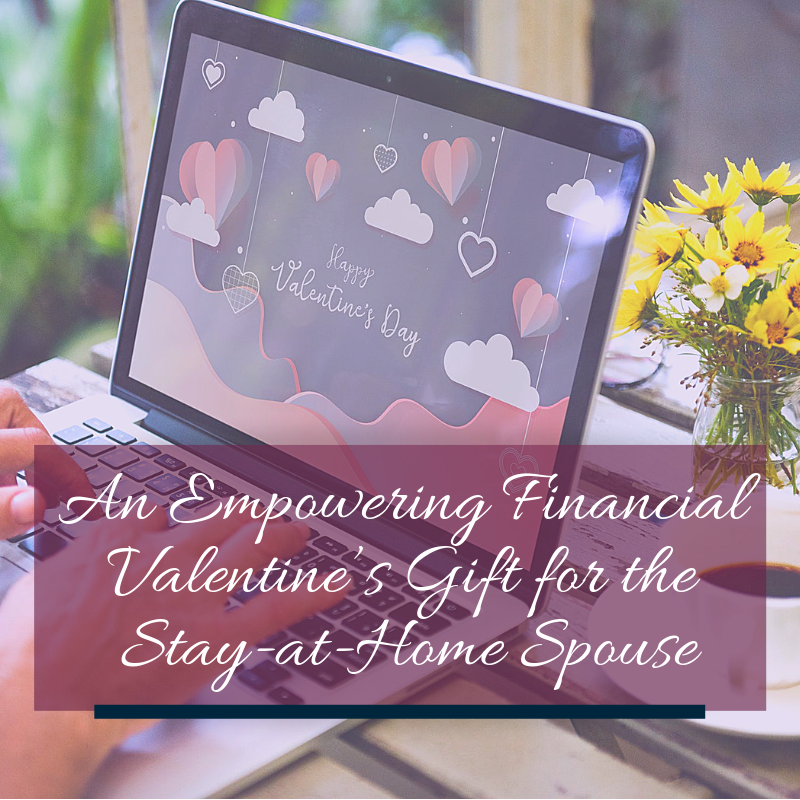 Some options are to gift shares to family members, establish trusts to provide continued income to the owner, or leave the stock to the next generation. Additional options include selling some shares to managers or the employees directly or through an Employee Stock Ownership Plan (ESOP). Any of these options permit the family to retain control while providing liquidity to the selling shareholder. Buy-Sell Agreements are common tools in ownership succession. Buy-sell agreements can be arranged between or among shareholders and the business. They insure that each shareholder can sell his or her stock, and secure stable ownership among a small group of shareholders. Gifting shares is widely used as a succession strategy because it helps reduce taxes. Generally, gifts are a part of an overall strategy for ownership succession. The shares can be given to family members or trusts for beneficiaries such as family members and charitable organizations. Management Buyouts are an excellent alternative for business owners who want the business to continue under current management, but also want liquidity and want to reduce personal responsibility for the business. Sale to employees through an Employee Stock Ownership Plan (ESOP) or a cooperative are growing popular. Sale to employees allows the business to remain closely held and can allow for the tax-free rollover of proceeds into other diversified investments designed to provide continued income to the shareholder. The ESOP or co-op also allows the employees to share in the future success of the business. This benefit can motivate the employees to make the company more successful. Sale to outsiders is often the choice of business owners who do not have successors within the company. 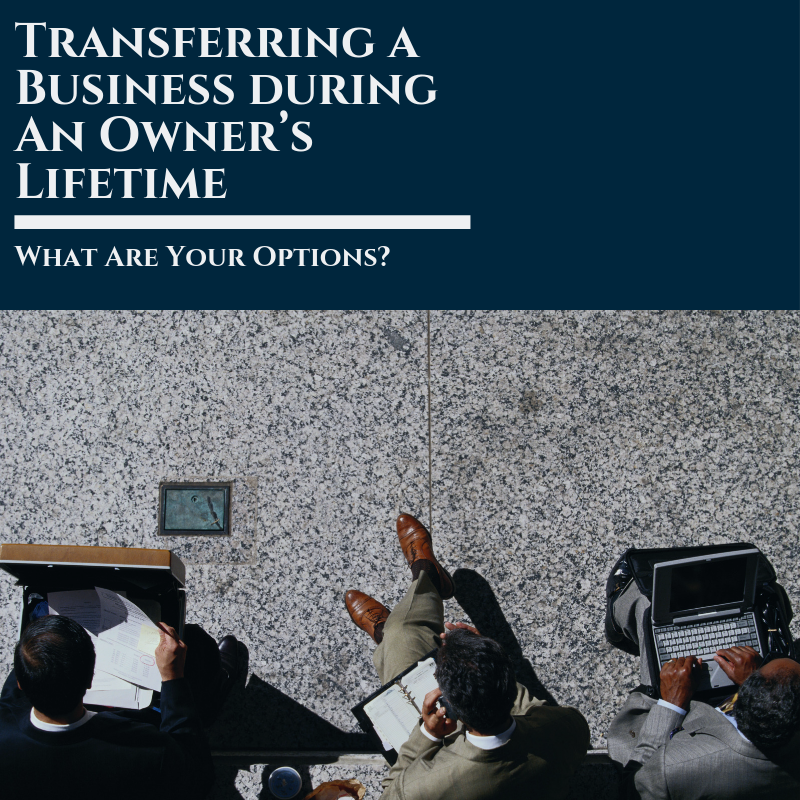 It is often not considered “succession planning” since the new owner is responsible for the future of the business. Liquidation is not traditionally considered “succession planning” because the business is not being passed on as an operating concern. However, in some circumstances, liquidation is the best way for the owner to meet his or her financial needs. Each of these options should be explored to figure out how they might be used as part of an overall strategy to meet the goals of the business owner. Many options can be combined into an overall plan that will meet the goals of the business owner and other stakeholders. 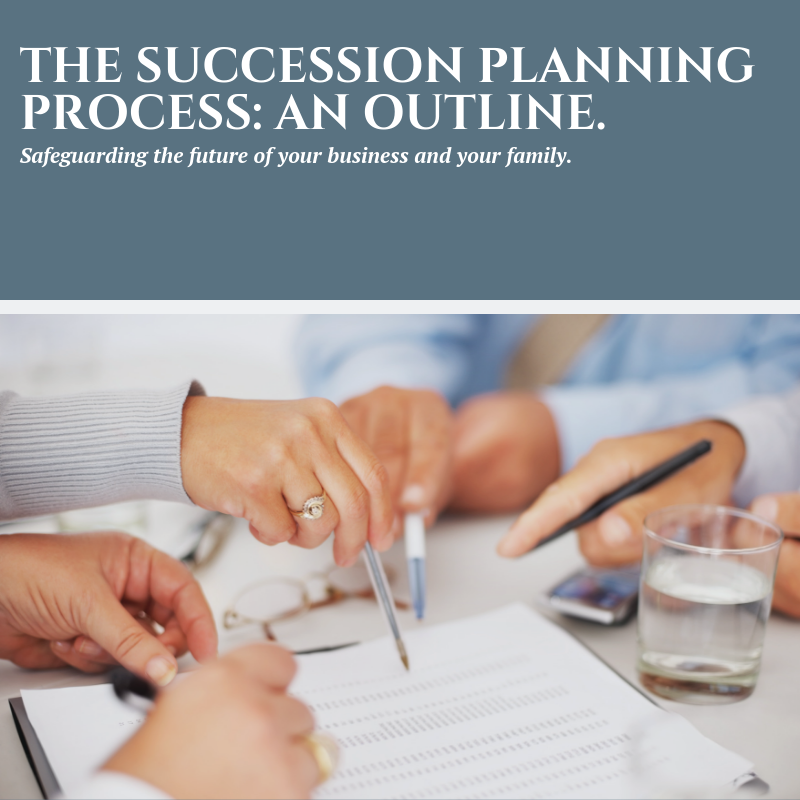 After all of the options have been explored, the business owner, along with advisors, can design and implement the chosen succession plan.